A disused and run down Doncaster Council building is to be sold at auction after a community group went bust. 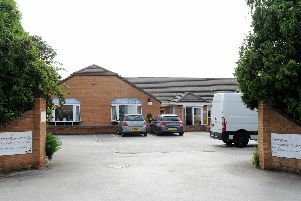 Unity House on Carr Lane in Balby is being sold off with the council hoping to recoup the cash to bolster their budgets. Under the council’s financial procedure rules, the local authority's property officer has authority to dispose of land at market value without Cabinet approval where the price being received is less than £1 million. The building has a guide price of £95,000 and goes to auction on Tuesday, July 17. Originally constructed as the science block of the former Hyde Park School, the property was refurbished as offices and a training centre in the 1990's and used as Doncaster ITEC. The property is divided into a number of small offices and toilet facilities with a central heating system which isn't currently operational. A number of options were considered by council bosses including continuing to lease the building for offices. But a report seen by councillors said the rental market for office accommodation in Doncaster is 'weak with excess supply and limited demand'. It said given the 'poor quality of accommodation' the rental value of the property including the eight car parking spaces, is likely to be in the region of '£10,000 per annum'. tenant and therefore has been identified for disposal. "There is demand for freehold buildings from local businesses and given the high profile location of the building with its visibility from White Rose Way it is anticipated that Unity House would be of interest to potential owner occupiers. "Given the potential for vandalism and ASB at the property and the associated maintenance liability, a sale by Auction is the recommended option. This would enable the council to achieve a fast and effective disposal of the property." Ward councillors have been consulted and no comments were received.